It takes a lot of guts to get up on stage and leave your soul out there for everyone to see. The heart races a mile a minute, beads of sweat come out of nowhere, and visions of failure cloud the mind. But the feeling when something goes well is so worth it, especially when it brings joy to the people in your audience no matter how big or small. 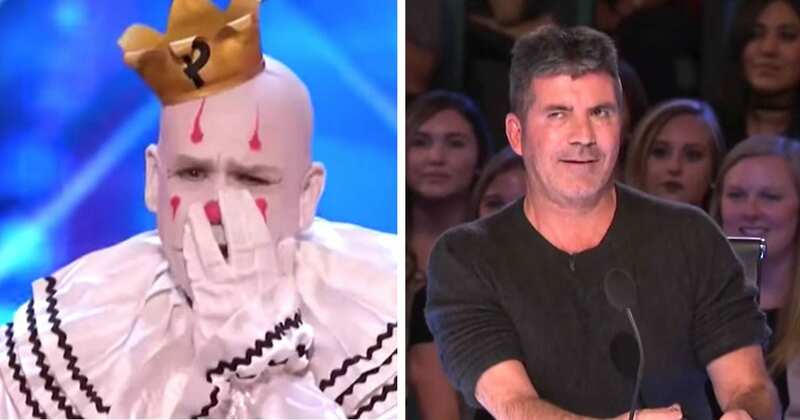 When one sad clown got up on the America’s Got Talent stage, it all paid off. Puddles Pity Party is a gentle giant. Standing at seven feet tall, he may be intimidating to some, especially if you’re afraid of clowns! But there is absolutely nothing to be afraid of. In fact, there’s so much behind the outfit and the makeup. Puddles doesn’t say a lot. In fact, he never utters a word – that is, until he opens his mouth to sing. That’s when the magic really happens. 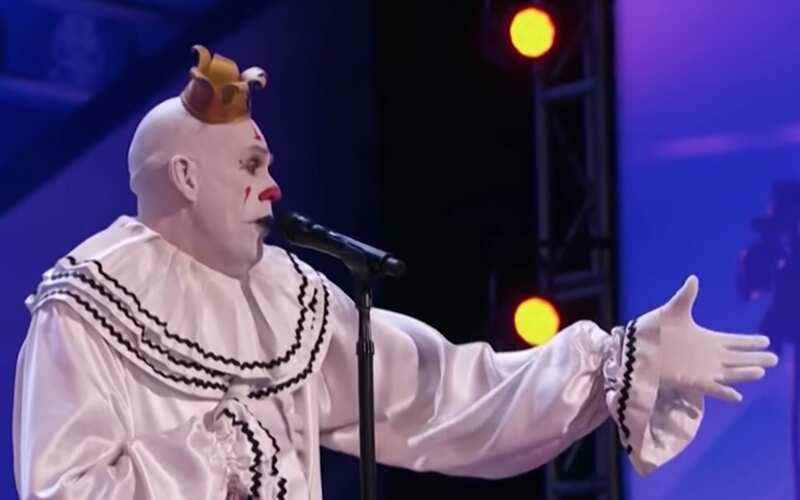 That’s right, he’s a singing clown – a captivating combination of mime, clown, and extraordinary vocalist. It sounds strange… and it is, but that’s what makes it so great! The judges weren’t sure what to think at the beginning. Perhaps they were expecting to see a typical party clown act, with balloons or water-squirting flowers. But, boy oh boy, were they in for a real treat. 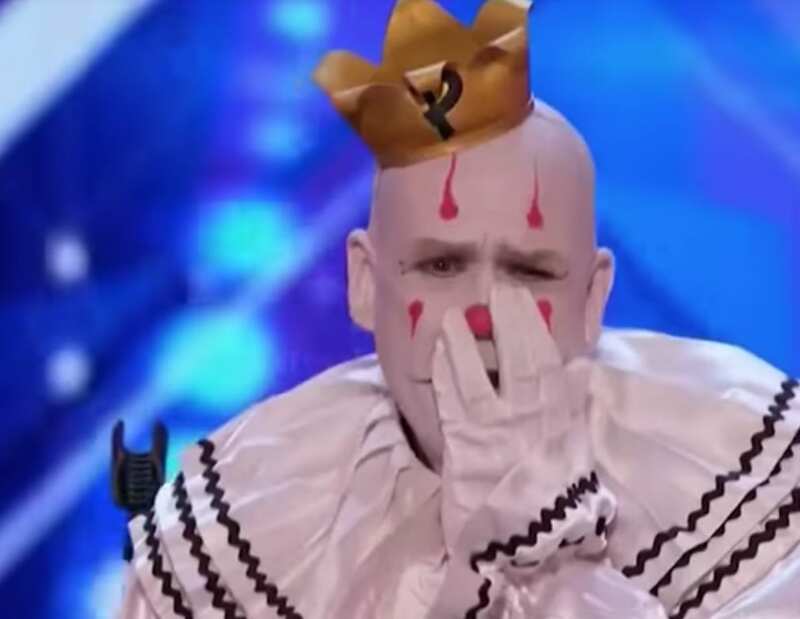 When Puddles Pity Party starts to sing Sia’s “Chandelier,” Simon’s jaw drops. He looks over to Howie, knowing that he’s absolutely eating it up! The crowd instantly connects with Puddles, who totally owns the stage. There’s not a member of the audience that doesn’t recognize that they’re in the presence of a true star. Puddles is now a professional musician, wowing audiences all over the world. In fact, he just announced his first ever residency in Caesars Palace in Las Vegas! The limited engagement at Cleopatra’s Barge will begin on Jan. 17 and will last through Feb. 9, 2019. He’ll also have a Holiday Jubilee in December at the Fox Theatre in Atlanta. 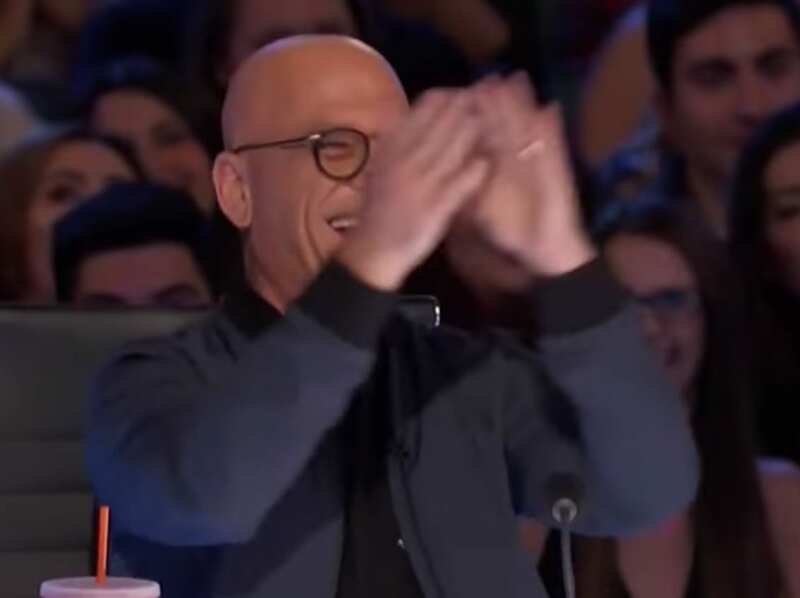 So, if you want the chance to feel like this America’s Got Talent audience felt on that day, get your tickets while you still can! I wonder if Simon has his eye on these shows? His resume since this performance has just continued to grow. He’s played at Edinburgh Fringe, Adelaide Fringe, Perth Fringe, Melbourne International Comedy Fest, Belgium’s Gent Fest and the Kennedy Center’s District of Comedy Festival. He was also handpicked by Neil Patrick Harris himself to perform Just for Laugh’s “Circus Awesomeus” gala filmed for HBO Canada! 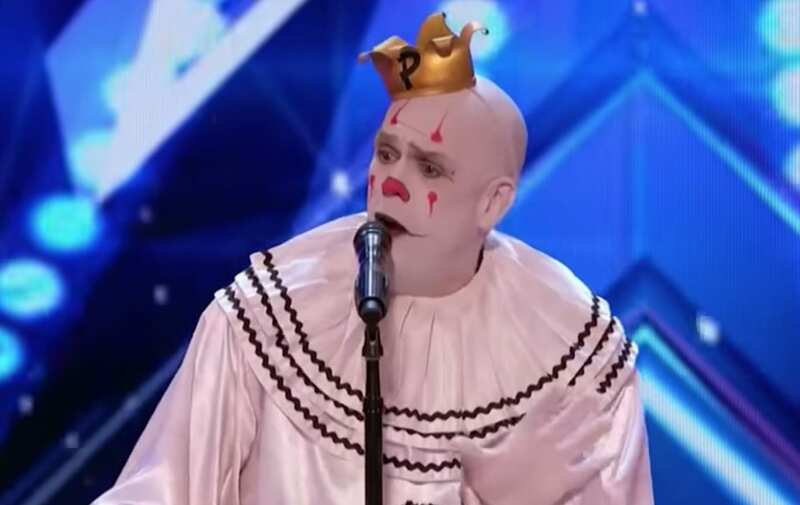 At the end of the performance, Puddles once again falls silent as the crowd and the hard-to-please judges leap from their seats to give him a well-deserved standing ovation. While he won’t say anything with his voice, his eyes say it all as they pool up with tears. You can tell that this moment of approval means everything to him. After all, aren’t we all just looking to find something that makes ourselves and the people around us happy – looking to fit in somewhere? Everyone can relate to what Puddles is feeling at the end of this song on some level. It’s acts like this that really stay with people. Puddles may be sad, but he gives the rest of us hope. He is a true talent: unique and captivating, bizarre and profound. What do you think of this performance? 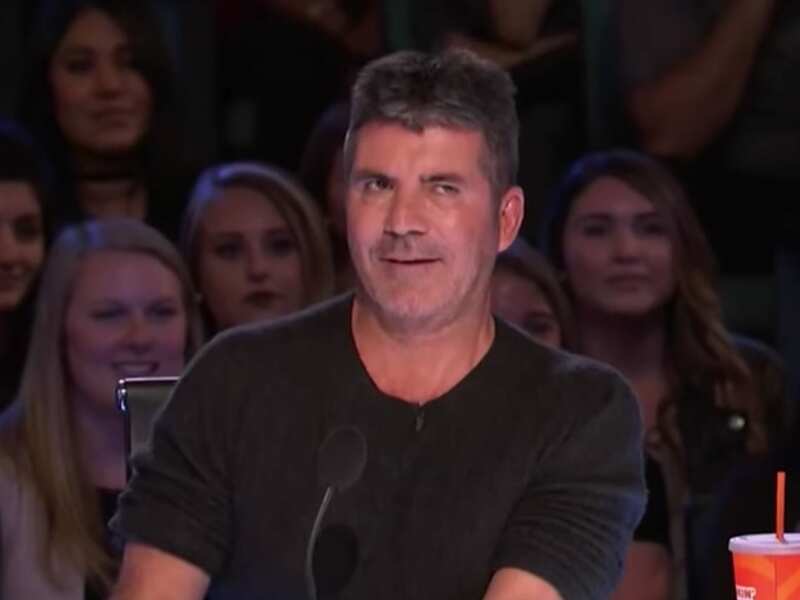 Do you think that you’d have the same reaction as the judges and the audience if you were in this room? I know I’d definitely be swept right off of my feet!